Think you are a Google expert? 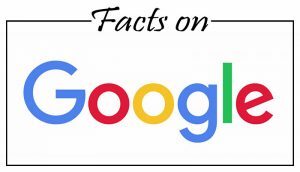 Google is the most visited site on earth, and does 65k+ searches every second. The mighty Californian legend that has made itself into a verb in the Oxford English Dictionary since June 2006 has some lesser known or even unknown facts that are sure to amuse you. Dive in to know more. 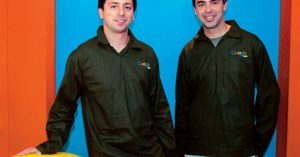 Ever wondered about the founders of Google? Sergey Brin and Larry Page met rather by chance. Page had visited Stanford University in 1995 as a prospective PhD student, and Brin had been asked to show him around the campus. The rest is, well, history. 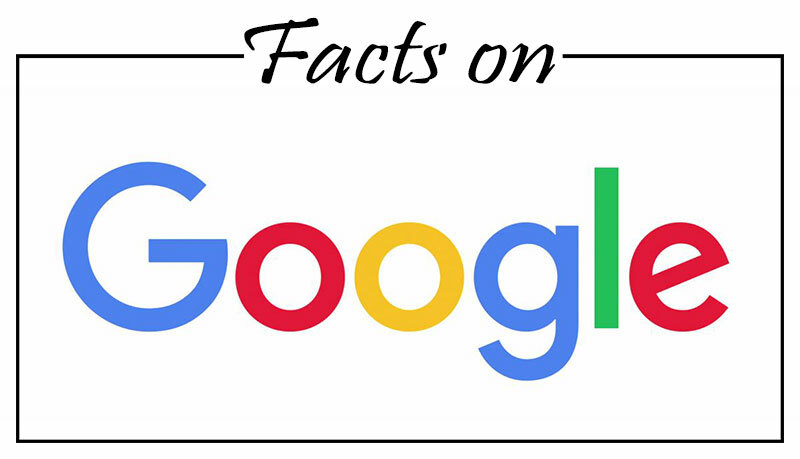 Fun facts about Google #2: The evolution of the name. Google’s name initially was BackRub. Funny sounding name, isn’t it? Apparently, it referred to its underlying algorithm of checking backlinks back in 1995 when its founders began working on the search engine. BackRub worked on Stanford University’s servers until it ate up too much bandwidth. By 1997, Page decided that BackRub was not a good enough name. While on the search for a better name a graduate student at Stanford named Sean Anderson suggested the word “googolplex” and Page countered with the shorter “googol.” Checking to see if the domain name was taken, Anderson accidentally searched for “Google.com” instead of “googol.com.” Page liked ‘Google’ more than ‘googol’, and registered the domain name for Brin and himself on September 15, 1997. The tech giant has a rather humble start. Google’s first office was a rented garage in Menlo Park, California, owned by Susan Wojcicki (employee #18 and now CEO of YouTube). She charged them $1700 a month, and even got a security deposit from them. Her sister Anne Wojcicki went on to marry Sergey Brin, the co-founder of Google. 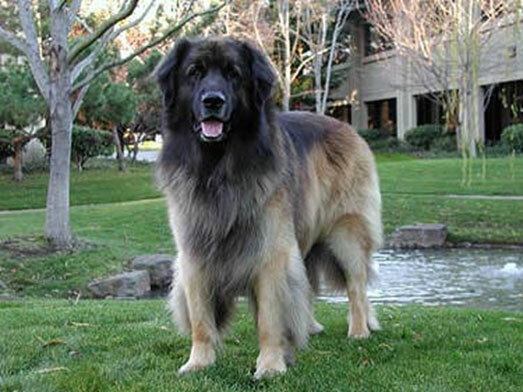 The impressive looking canine Yoshka, is the first ‘company’ dog of Google. Yoshka has been credited in Google’s official history. It came to work with the senior vice president of operations, Urs Hölzle in 1999. Since then, more dogs have become employees at Google. Dogs at Google are a symbol of its unique culture: High-performance combined with a sense of fun and human spirit. You might know this, but we include it here because it is so important! 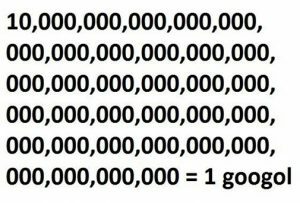 The name ‘Google’ is sprung from the mathematical term ‘googol’. ‘Googol’ is basically 1 with a 100 zeros following it. It symbolizes the almost unlimited reach that you get on the World Wide Web with Google. Fun facts about Google #6: goats on campus! Google is nature friendly and it likes to amuse its employees. How else do you explain goats on its campus? Actually there is a good reason. 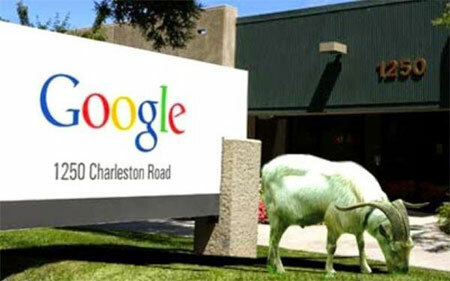 Google rents goats to mow the lawns at their Mountain View HQ. 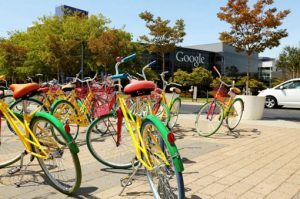 Google uses a web tool called foo.bar to recruit new employees based on their online activity. Typically, they look at what you do online, and if it interests them they cold call or ‘cold message’ you. If you are interested, they give you a set of puzzles to solve, and if you are up to it, you are in! Cool, isn’t it? 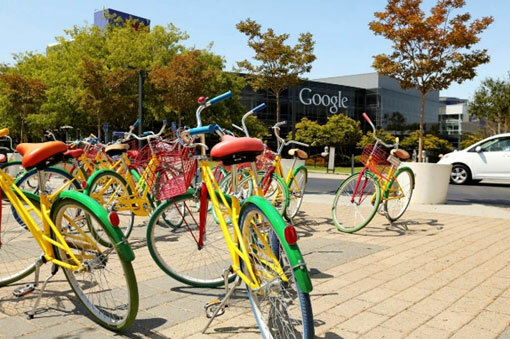 Bikes are the preferred form of transport for Google employees at its headquarters at Mountain View, California. These colorful bikes are called “gBikes” which are primary-colored, and basket-equipped. None of these bikes have locks. Googlers just borrow them and when they are done using them, drop them off for others to use. 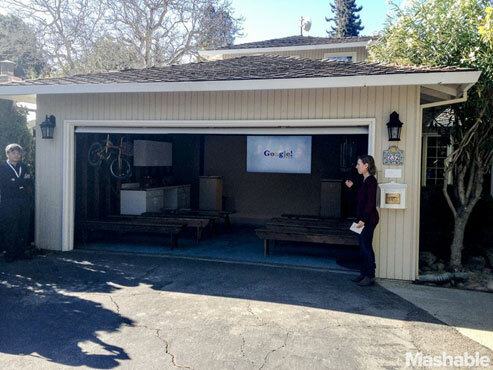 Google Founders have landed perks that are truly exceptional. 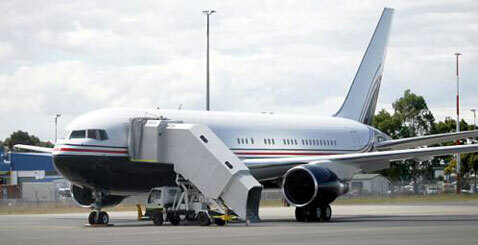 Their private planes have runways in NASA, at a few minutes’ drive from their offices. For $1.3 million a year, Page and Brin get to park their customized Boeing 767-200, and two other jets used by top Google executives, on Moffett Field, an airport run by NASA that is generally inaccessible to private aircraft. 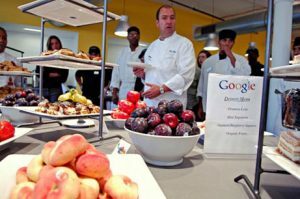 Cofounder of Google Sergey Brin reportedly said that “No one should be more than 200 feet away from food.” And it is true. There is free food, lots of it, and all of it delicious. 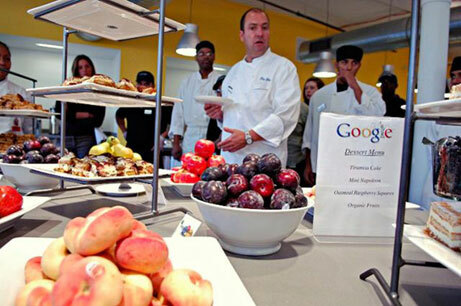 There are 25 different cafes sprawled across their Mountain View office, each of which is run by a resident expert chef. It also provides micro-kitchens, in case you want to try cooking a healthy gourmet meal for yourself. Previous PostBuy Dissertation Online that Offers Internship Search RecommendationsNext PostWhat is Separation Anxiety?